These solid copper alligator clips work nicely as heat sinks when clipped next to a solder connection point where you want to reduce heat being transferred to an adjacent component such as resistors, capacitors, potentiometers. Make sure when you clip these next to your solder joint that you don't actually solder these clips to the joint. They are sold copper so they conduct heat very well and will also attract solder. 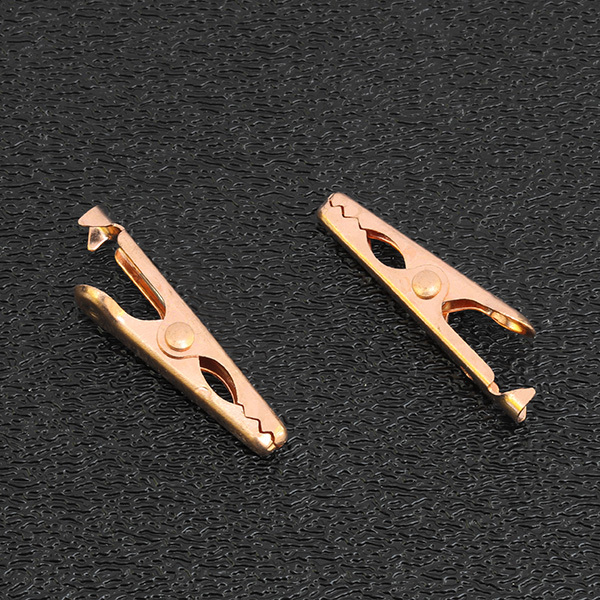 Clips measures approximately 1-1/8" in length.